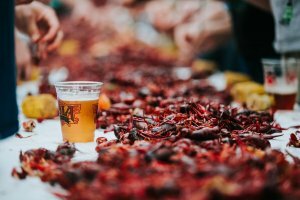 New Orleans tends to be known more for her food, music and nightlife than her museums, but this city actually excels at visitor friendly educational institutions. Our museums tend to focus on local knowledge subjects that exist close to home: the history of South Louisiana, the roots and variations of the region’s folkways, and similar topics. A few notable exceptions are the National World War II Museum (located within the Warehouse District, and an easy walk from Canal St) and the New Orleans Museum of Art (located in City Park, about 15 minutes from the French Quarter by car). Both of these museums are more universal in scope as regards their respective fields of knowledge (World War II and fine art). In the French Quarter, most museums have a New Orleans, or at least Louisiana-based, focus. Besides being fun and educational, the following museums also constitute a break from the heat – an important factor to consider if you visit during the long summer months. 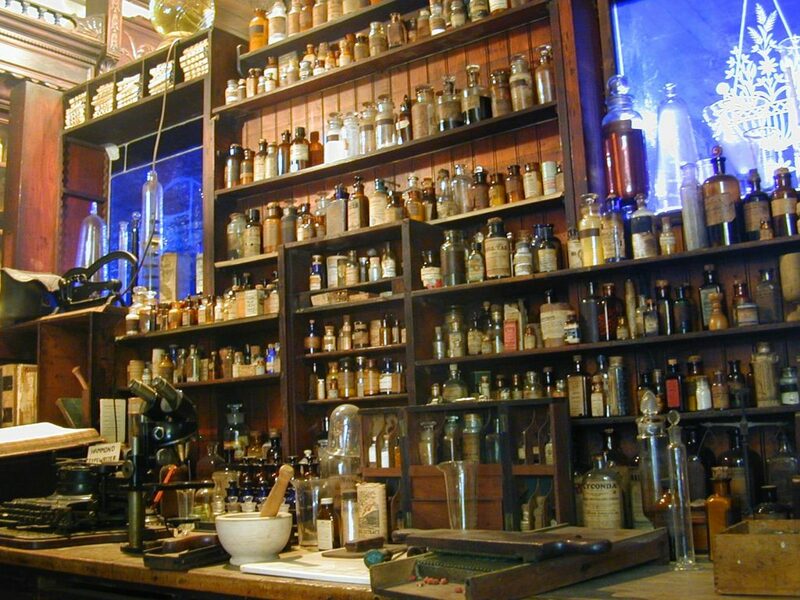 Note that we’re not including the Museum of Death and Historic Voodoo Museum in this article. While both of those locales are undoubtedly fun to visit, they’re more tourist attractions than dedicated educational institutions. 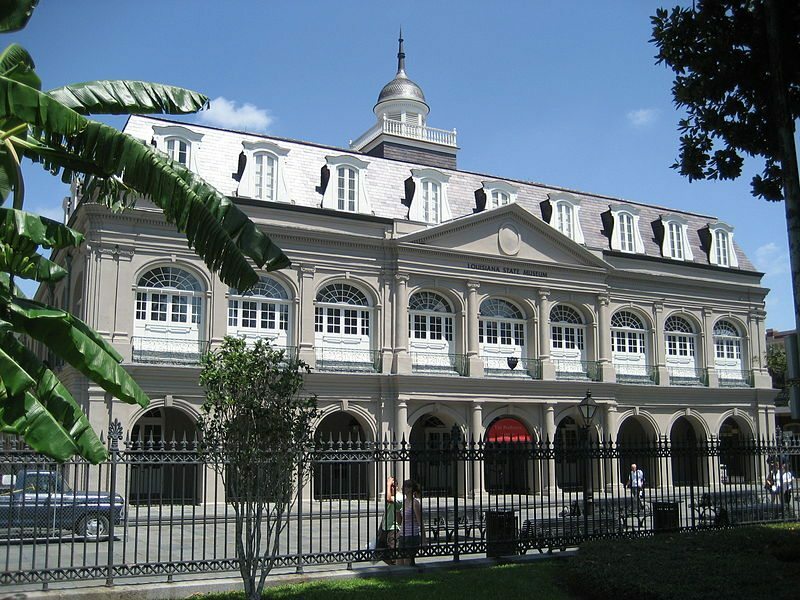 Once the seat of Spanish colonial government in New Orleans, the Cabildo is now a part of the Louisiana State Museum system. The three floors of this grand structure contain exhibits on state history, ranging from Native American artifacts to profiles of different New Orleans immigrant groups to sober displays on the local slave trade. By dint of its possessions, infrastructure and display content, this is one of the top museums in the city. The main hall of the building, the the Sala Capitular (“Meeting Room”), is a gorgeous space in its own right, offering views out unto the Quarter and the Mississippi river. The room also once served as a courtroom, and was scene of many seminal court cases, including Plessy vs Ferguson. 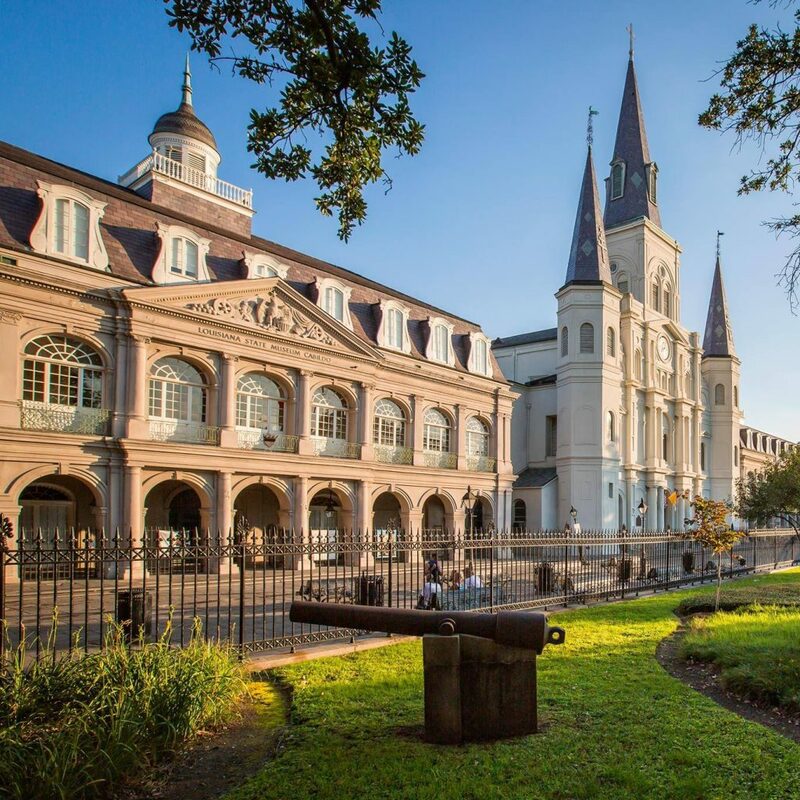 Located almost adjacent to the Cabildo, the Presbytere – so named because it houses clergy members – is also a part of the Louisiana State Museum family. Here, the focus is less on Louisiana history, and more on the culture and folkways of carnival season, from ‘krewes’ (Mardi Gras parading societies) to the costumes associated with Courir de Mardi Gras in Cajun country. There is also a large permanent exhibition on the impact of Hurricane Katrina, and the city’s post storm recovery, making a visit here a powerful hybrid experience of celebration, grief and resilience. 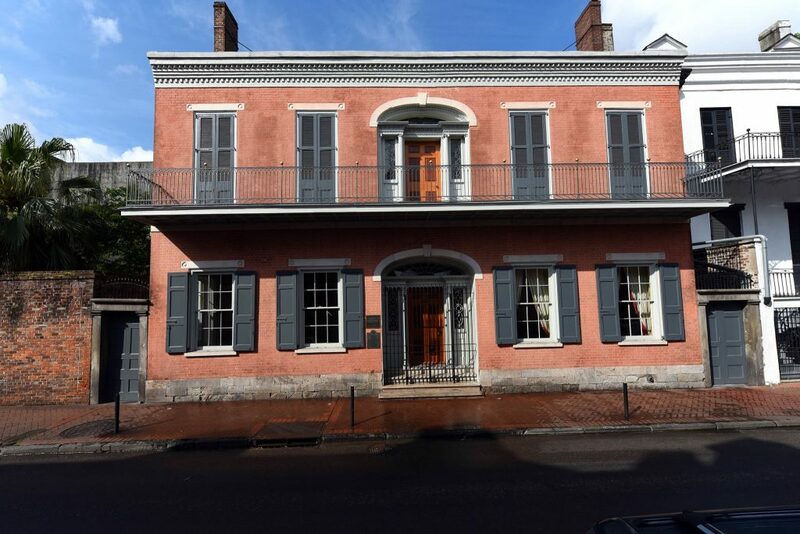 Located in the Lower Pontalba Building on Jackson Square, the 1850 house is a glimpse into the well-manicured living conditions of a middle class 19th century, free New Orleans family. The city was at the height of its economic power and influence at this time, and the city’s free population enjoyed a standard of living that was unmatched in much of the United States. 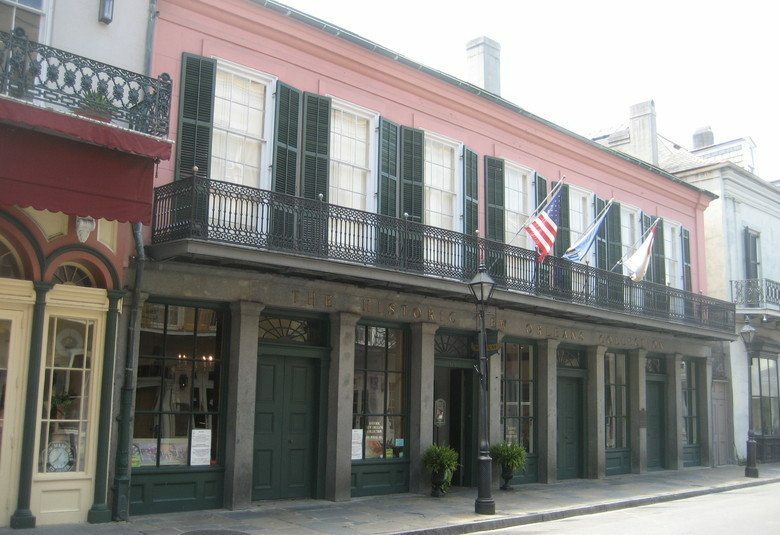 The Historic New Orleans Collection (THNOC), a non-profit dedicated to the study of the city, includes a network of historic structures that contain both a permanent and temporary exhibitions on regional history. Visitors can explore the Royal St campus for free or take tours of THNOC’s large collection of preserved properties; the experience speaks to both the historical events of the city and its architectural legacy. Note that THNOC also offers a smart phone app tour, and hosts a long packed calendar of events and lectures that ought to scratch the itch of even the most obsessed history fanatics. 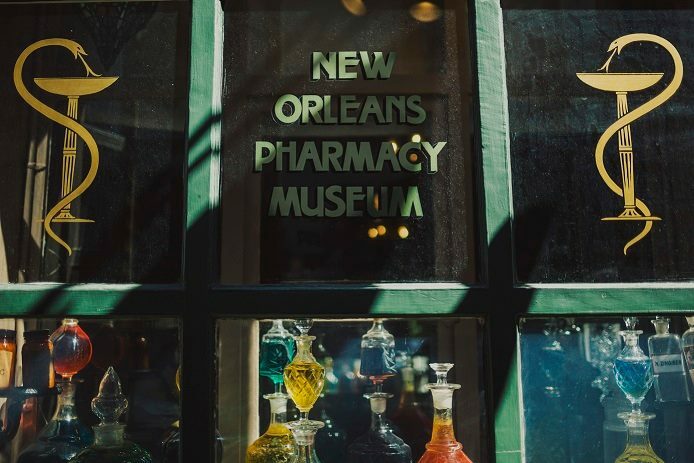 Long a favorite of locals, the Pharmacy Museum, located in an 1823-era drug store, is a peek into both the city’s history and the general medical oddities of the 19th century. Inside, visitors learn about questionable medical practices from back in the day – who wants some pills coated in lead paint? Or the insertion of a metal catheter? Argh, that one makes us groan just thinking about it. Don’t get us started on the forceps. The prescription book that old pharmacists once used to keep track of their patients’ medicine is a triumph of ingenuity and engineering in its own right. A handsome example of Greek Revival architecture in its own right, the Old US Mint produced gold and silver coinage for both the United and Confederate States during its long history as a currency production center. Today it houses an art gallery and exhibitions on jazz music in New Orleans, all under the auspices of the Louisiana State Museum. The Mint also frequently hosts musical performances courtesy of the Jazz National Historical park (below). Here’s a grim bit of trivia – when the mint was recaptured by US Marines during the Civil War, a local Confederate sympathizer, William Bruce Mumford, ripped the American flag from the roof of the building and paraded it through the Quarter, where crowds ripped the banner to pieces. For his efforts, Mumford was hung from a flagstaff off the side of the mint in 1862. These two historic homes and their attached slaved quarters are some of the best preserved historic structures in the French Quarter. Visitors can learn about the relative opulence enjoyed by the residents of these homes, as well as the conditions of the enslaved workforce that made their lives of comfort possible. A good chunk of the artifacts in both homes can be traced to the 19th century. Of the many historical homes in the French Quarter, these two buildings are some of our favorites. While it’s not technically a museum (although it does contain some small exhibitions on site), this branch of the National Park system includes knowledgeable ranger staff who lead tours, lectures and concerts that explore the long history of New Orleans popular music and culture. Check their website for information on live performances, which occur on an almost daily basis either here or at the Old US Mint. Located in the Treme, just a few blocks out of the Quarter, the Backstreet Cultural Museum must be the most unique museum in the city. Inside this small structure, local residents lead visitors through an exploration of the New Orleans ‘backstreet’ – the unique cultural folkways of the city’s African American population. 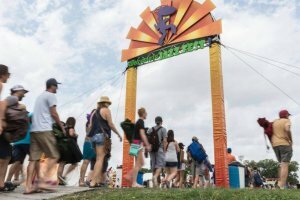 Because of its location at the edge of the Caribbean, and a French-Creole history that allowed for the observation of certain traditions, black New Orleans culture includes a plethora of practices – from second line parades to Mardi Gras Indians – that simply cannot be found anywhere else in the world. With that said, traces of West African heritage can be detected at many levels, from costuming beadwork to the syncopated beat of local parade chants.